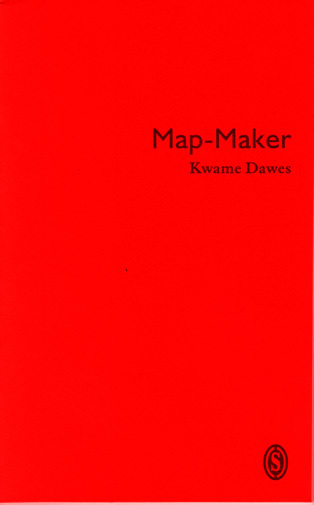 Mapmaker collects four of Dawes’ long poems in a chapbook that was a winner in the Poetry Business contest in the UK in 2001. Conceived around the theme of "inheritance" the sequence explores the complex questions of influence, legacy and, ultimately, the meaning of home. Dawes tries to take the reader through the various landscapes that have been pivotal to shaping his imagination as a poet. In each poem, he explores the meaning of belonging even as he dialogues with the work of writers that have influenced his work.